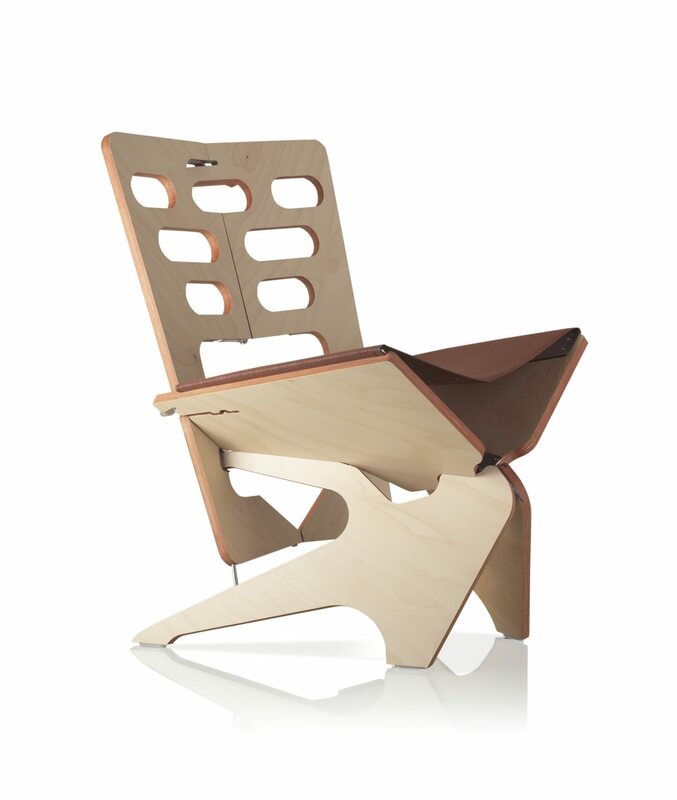 Star is a stunning and comfortable lounge chair. The backrest is wide and gently curved to provide full back support. The comfortable seat is made of relaxing yet sturdy mesh fabric. 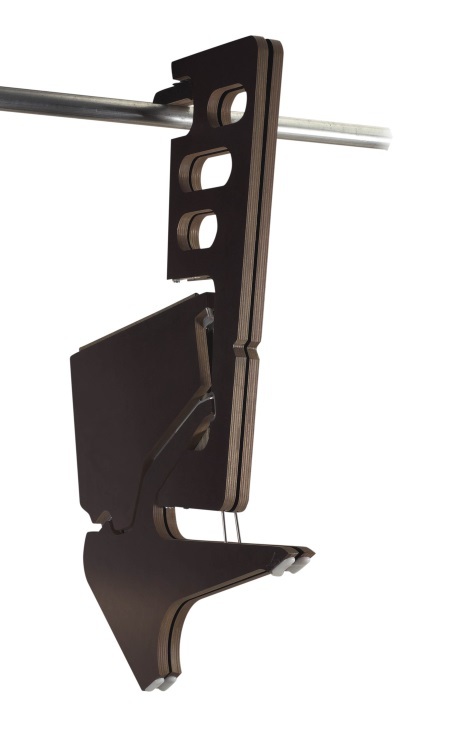 It is designed for everyday use with the exceptional functionality to fold flat. Star is a work of art and ingenuity - it is a chic space saver and a great conversation starter. Utilizing our patented folding mechanism Star folds effortlessly into a 1.25 inches slim, perfectly flat silhouette and hangs on the closet rod or on the wall. It is the most space saving lounge chair in the market - there when you need it gone when you don't! Star is precision cut and handcrafted in USA from the highest-grade, eco harvested, birch plywood from Finland. The exposed grain edge is polished and finished in rust color. Use Star around your coffee table, fireplace or aboard your time capsule with some extras hanging elegantly in the closet or on the wall as art! 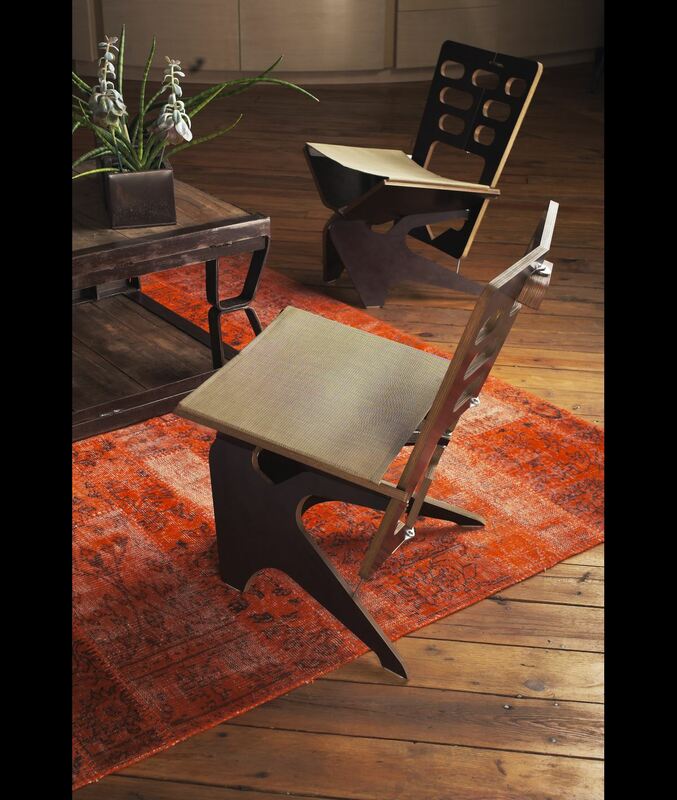 The Star pops open with a simple flick of the backrest. Closing it is equally easy. Hang it up in your closet! 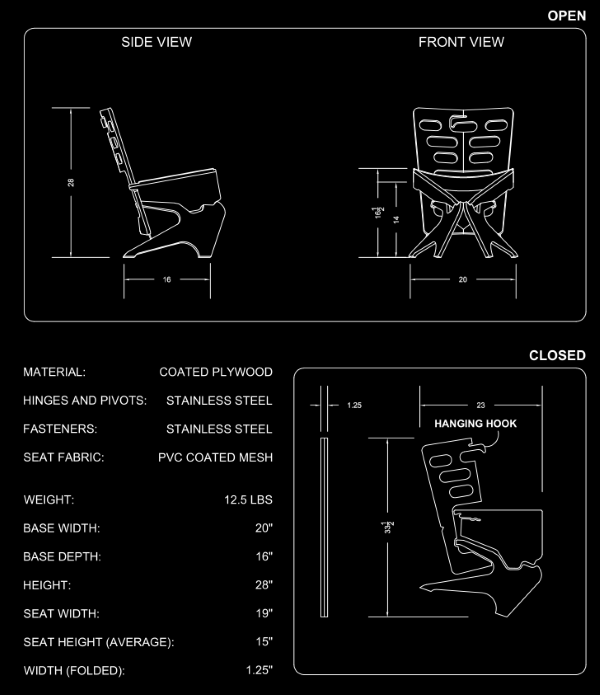 At 1.25 inches when folded (3 cm), and perfectly flat - Star is an incredibly space saving chair. Add to that the convenience of hanging on a rod. Have you ever seen folding chairs stacked against each other in an ever slipping and sliding arrangement? Star hangs neatly in a standard 24" depth (60 cm) closet or even better on the wall. Star is made of the highest grade birch plywood, imported specially from Finland. Factory laminated with a clear film for the finest finish and durability, it is available in Espresso Brown and Pure White. The exposed grain edge is polished and finished in rust color. We have carefully selected attractive and very sturdy mesh fabric to match your ambiance. For an exceptionally stylish look we can stain the edge of the chair to match the seat color of your choice.